You get the idea. The man who was the brains behind the Autopia cars, Disneyland’s numerous Main Street vehicles, Matterhorn Mountain, the submarine voyage design, mass producing Audio-Animatronics technology, the parks’ parking lot trams, the PeopleMover and Omnimover ride systems (he even designed the massive King Kong figure for Universal Studios) and, perhaps most famously, the monorail, simply refuses to slow down. “I don’t want to grow old, with golf, bingo and other senior citizen non-action,” he says bluntly. So, he does things like piloting a virtual glider (relying on his skills as an actual glider pilot)… snorkeling in Tahiti… and conducting his popular Waltland bus tours. When last we interviewed Bob, he was knee deep in a film project about something near and dear to his heart: The monorail. Actually, it was a monorail named Monty. That’s right, Monty the Monorail. 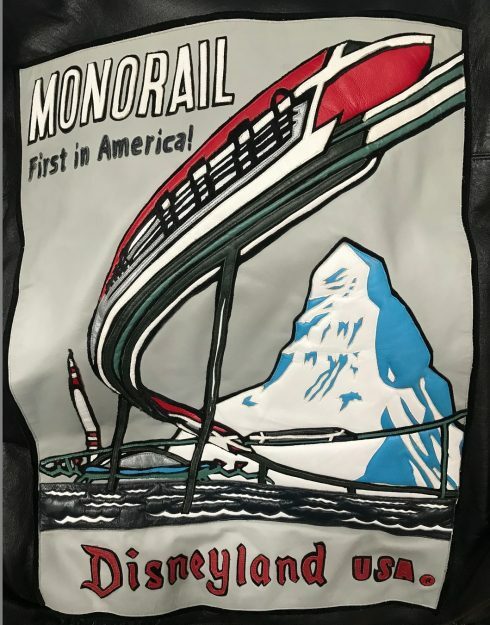 Bob met a man who had purchased the front carriage of a Walt Disney World Mark IV monorail car and turned it into something of a tourist attraction. Then Bob came up with the idea of making a movie with Monty the Monorail as the star, with Bob supplying the voice-over. “I look at the situation of a monorail who is a living character. And he has relatives and the relatives go way back to his great-grandfather in 1959 (coincidentally, that’s when the monorail debuted at Disneyland). The movie will be really funny, full of graphics and this voice talking like it’s his mommy. But while Monty sits idly by, Bob keeps rolling along. Literally. Once a month, Bob takes a busload of Disney fans on a tour of some of the places in Los Angeles that inspired his former boss, Walt Disney. The tour, which runs from 10 a.m. to 3 p.m. (more than enough time for Bob to return home for one of his famous Gurrtinis! ), starts in the parking lot of the Los Angeles Zoo. From there, the motor coach takes you to Walt & Roy’s homes on Lyric Avenue (stop and walk), the Hyperion Studios site (stop and walk), Hyperion Studios Bungalows (drive by), the Griffith Park Merry-Go-Round (stop, walk and ride), the Walt Disney Barn Museum (stop and go inside), MAPO (stop and walk), Walt Disney Imagineering 1401 (stop and walk), Grand Central Air Terminal (stop and walk), DreamWorks (drive by), ABC TV (drive by), WDI Research & Development (drive by), the Walt Disney Studios (stop and walk). The star of the road trip is, of course, the effervescent Gurr, who regales his guests with Disney tales of old and his personal experiences with Walt, as well as his days of helping to make Walt’s dreams come true. “I’m entering my fourth year of doing the Waltland bus tours,” Gurr says. With no signs of slowing down, fortunately, for Disney fans everywhere. 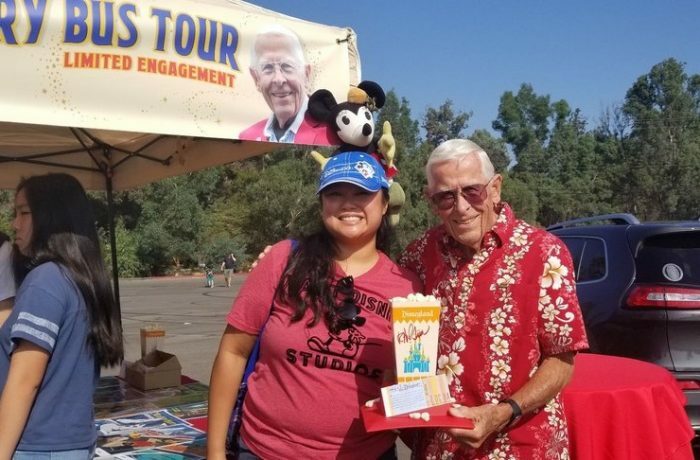 Do you have any funny Bob Gurr stories or memories you’d like to share? Let us know in the comments below! 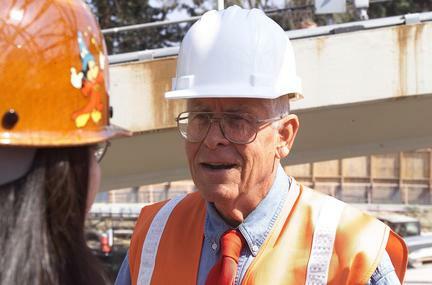 You can read more about Bob Gurr’s contributions to Disneyland and Walt Disney World here. And click here to read about Gurr and other influential Disney Imagineers.